April 7, 2019 . Kathmandu: The General Secretary of the CPN (Revolutionary Maoist), Mohan Vaidya ‘Kiran’, addressing the inaugural ceremony, organized on the occasion of the 29th historical Mass Movement Day, of Patriotic People’s Democratic Front, Nepal, a revolutionary front led by the party, has said that the revolutionaries once dare to unitedly raise arms against the state power they can overturn it. Addressing a huge mass meeting organized at Bhrikutimandap Kathmandu on Sunday, the General secretary Kiran has claimed that not only the two-third majority government led by Oli but the old state power being maintained ever since the Rana regime can be overturned when the revolutionary communists, patriotic and democratic forces wage struggle in a unified way. Discussing that the people’s war and mass movements waged so far had failed because of betrayal on the part of leadership, he clarified that their party is attempting to go ahead by learning positive and negative lessons gained in the past. Saying that the present government is not a communist government but the government that defames the communists, that it represents the comprador, bureaucratic capitalists and the feudal class and that it protects the interest of the imperialist and expansionist marauders, Kiran asserted, “To chant a slogan of ‘prosperous Nepal and happy Nepali’ by selling the human and natural resources to the foreign robbers is to make people fool. Prosperous Nepal and happy Nepali is not possible form this government.” He added, “The resolution of the problems related to national independence, democracy and people’s livelihood is impossible from this state and the government, it needs an alternative force, which we are. 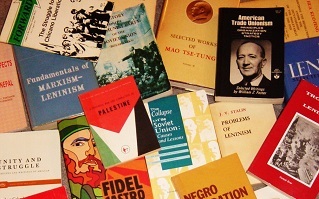 Here the term we means revolutionary Maoist, PPRF, other revolutionary and the patriotic forces. Chairing the inaugural meeting, CP Gajurel the Chairman of PPRF, Nepal said that the battle for Federal People’s Republic has begun. The mass Movement day 29 years before had brought the Panchayat System to an end in Nepal and we declare the battle for Federal People’s Democracy has begun today from this very historic day. 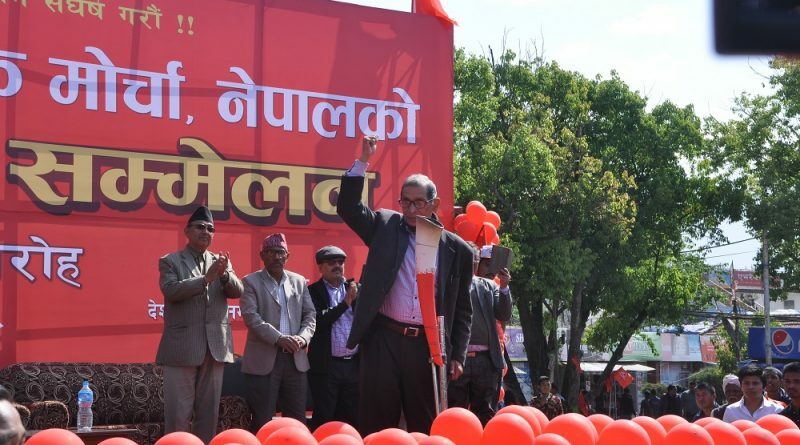 Laying emphasis on the fact that merely correct ideology and politics is not sufficient to bring about a change and violence is indispensible for it, Gajurel also appealed the masses to remain prepared for struggle because the time has come to seek alternative not only for the Oli-government but for the out-dated parliamentarian system as well. 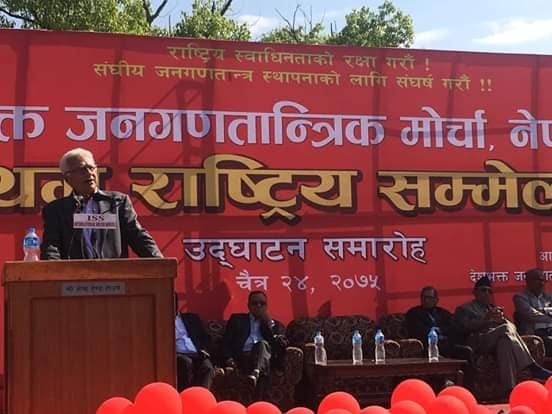 Expressing well wishes for the conference, CP Mainali, the General Secretary of the CPN (ML) said that New Democratic Revolution has not yet been accomplished in Nepal, laid emphasis on the need to sort out correct policy based on the analysis of the geo-political situation of Nepal. 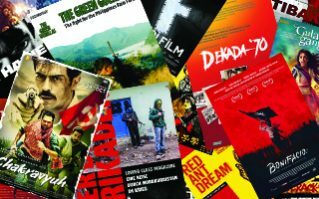 In the same manner, expressing solidarity to the programmes of struggle the PPRF has put forward, Gopal Kirati, the Chairman of the CPN (Maoist Centre) laid emphasis on the unity among revolutionaries. 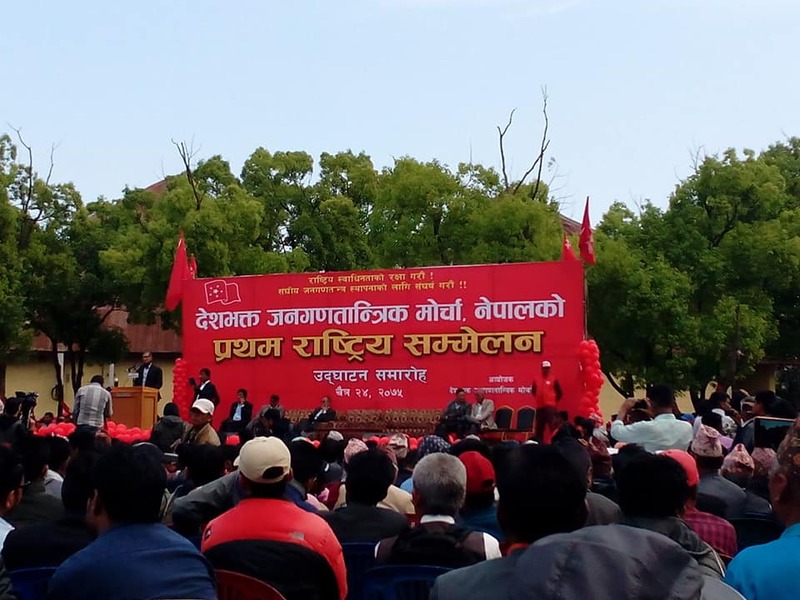 The coordinator of the scientific socialist party, Bishwabhakta Dulal ‘Ahuti’ emphasizing on the need to launch a serious debate on how the communist movement can be propelled forward said that Comrade Kiran must provide leadership for such debate. The spokesperson of the CPN (Masal), Ram Prasad Puri stressed on whether or not the time has come to make People’s Democracy a tactical programme should be debated. The secretariat member of the communist Party of Nepal emphasized that there is no any alternative left other than unitedly fighting against the present state and the system. The artists of Samana Cultural Family had presented revolutionary songs and dances in between the speeches of good wishes presented by different leaders. 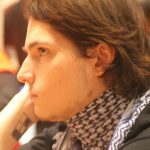 The closed session, which will go for two days, will begin from tomorrow morning.